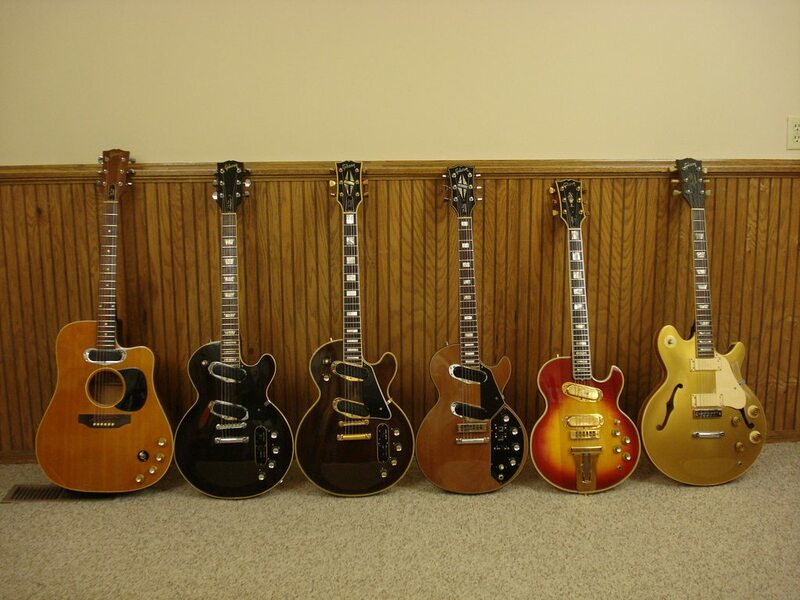 Gibson Low-Impedance Guitars Club Les Pauls, L5-S', Basses. I have sent an inquiry to CTS with the original part number, asking for a product link. 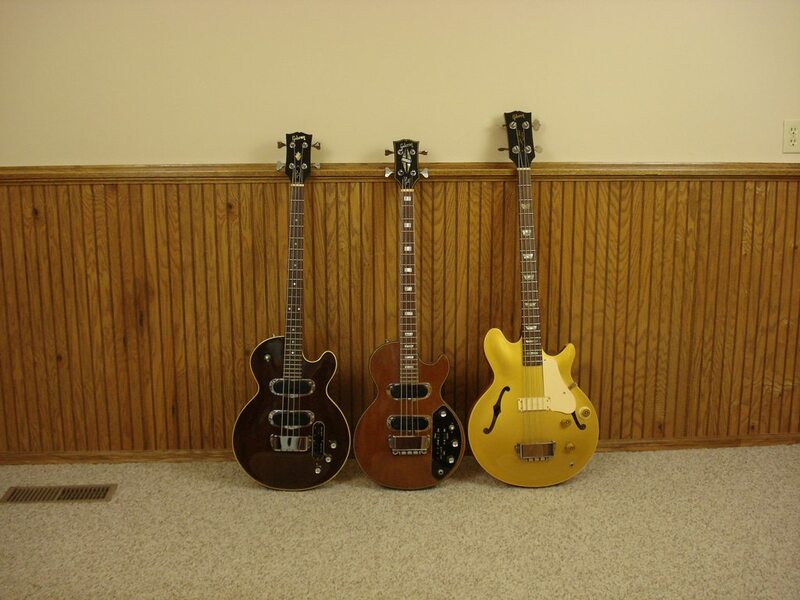 First, I wrongly said it's the Treble, - never mind - it's the Bass pot. Anyways, CTS could not provide me a replacement part number. It's a 2.5K "L" pot. Does any of You have a good parts source? I could only find a very few with 2.5KOhm rating, and all had some kind of a compatibility issue. Here she is - a one off - the only one around? 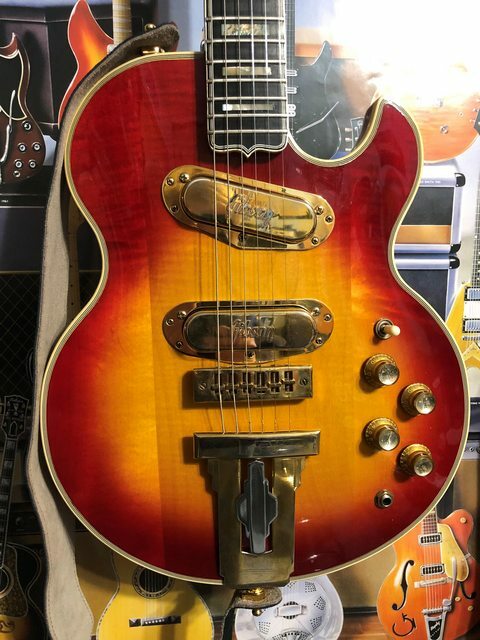 Rob Weaver bought her new in 1978 and did the mod himself - more details later - I hope that Rob will join in and tell us a little bit more about this unique guitar. 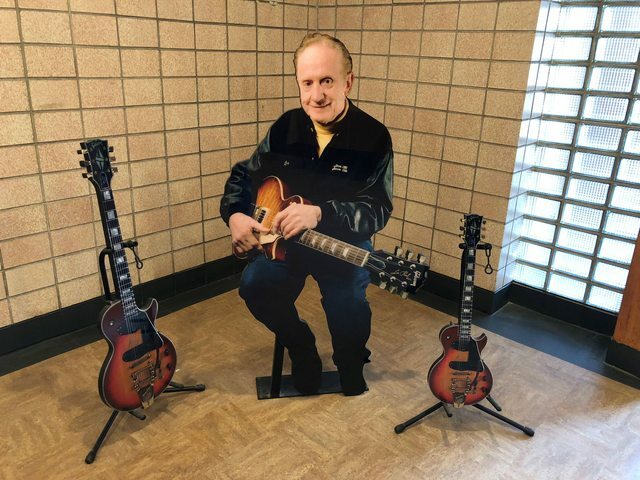 Around about 1969/70 Jan Akkerman (Focus) bought a Les Paul Personal. While he loved the guitar the electronics didn't suit him so he changed the guitar (many times). This video shows him not long after he got it and how he changed it within the first couple of years. 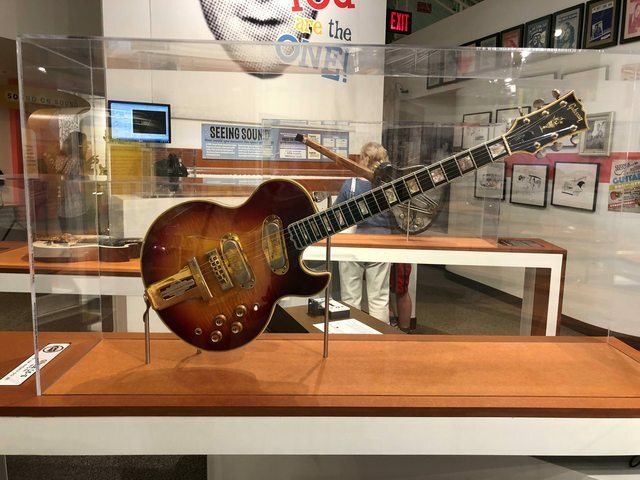 Last week my wife & I hit both Les Paul exhibits, one that just recently re-opened in Lester's hometown of Waukesha Wisconsin, the other about a half hour away at the Discovery Zone in Milwaukee. 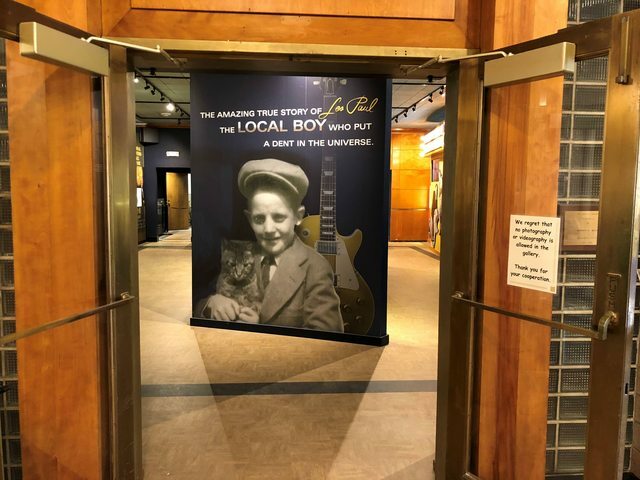 I had visited the one in Milwaukee over ten years ago, this location was one of the two locations that was set up for a public reviewal before Les Paul's funeral. 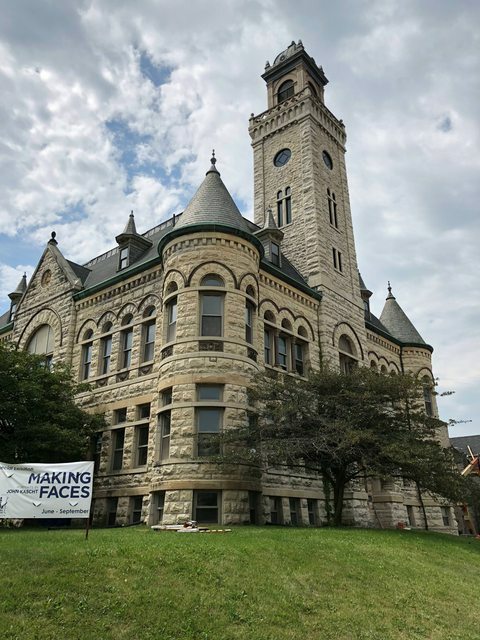 The exhibit in the Waukesha County Museum has been under construction for about three years, when I found out that it re-opened, we decided to check it out. Unfortunately, no photos were aloud. 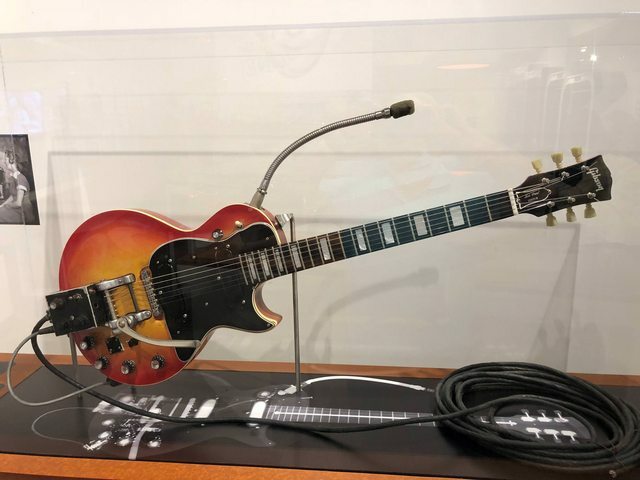 They had two Low Impedance Gibsons in the museum & the story of his life. 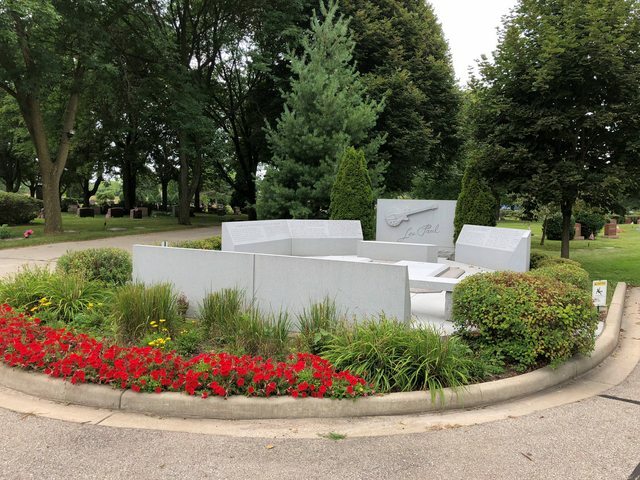 He is buried with his mother just a few blocks away. 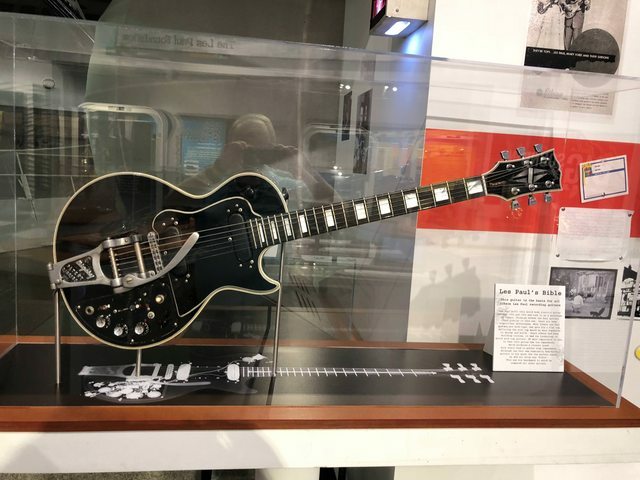 Afterwards, we headed off to Milwaukee to re-visit The Les Paul display at the Discovery Zone. 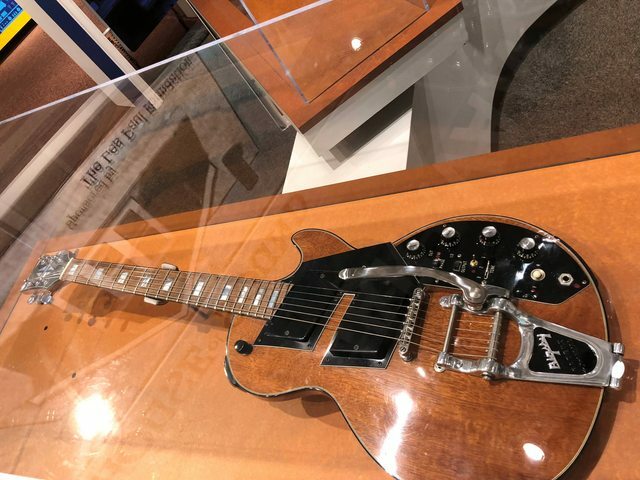 As far as guitars go, they had a much better display & they allowed photos. 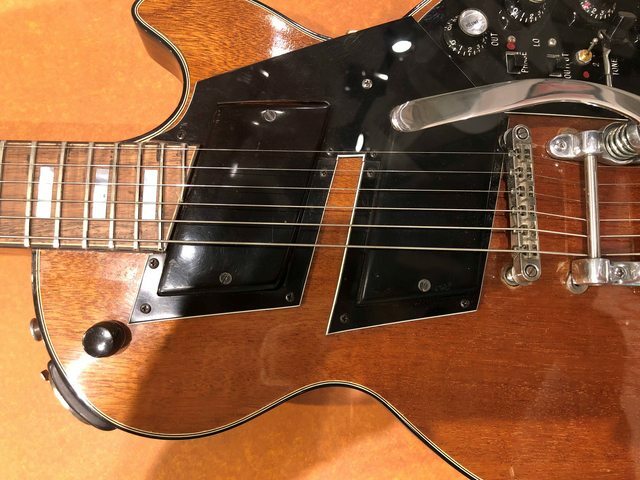 I'd like to know more about that Les Paul Recording with the trapezoidal pickups! 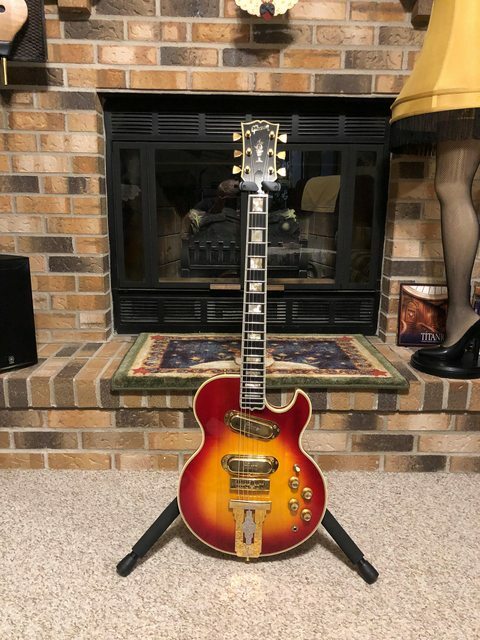 Recently acquired a '72 Les Paul Recording. A beast of a guitar, but enjoying it. Cool photos of Les' home town. Thanks, and yes they are unique. I believe they were the most expensive Les Model through their run. Not much action here lately. I just traded my first 1973 L-5S for one in better shape. The biggest improvement is the condition of the gold plated parts. Most of these have seen the gold badly wore off in 45 plus years of use. Here is the full set. I had to do the basses separately due to lack of space. 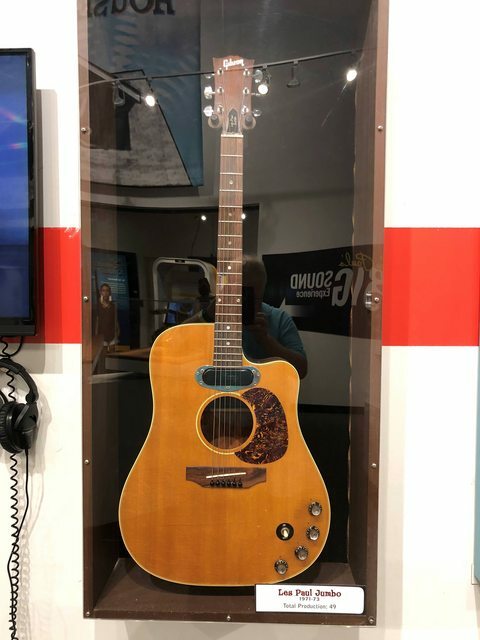 Hey Dave, I just came back from the Songbirds Guitar Museum in Chattanooga TN. 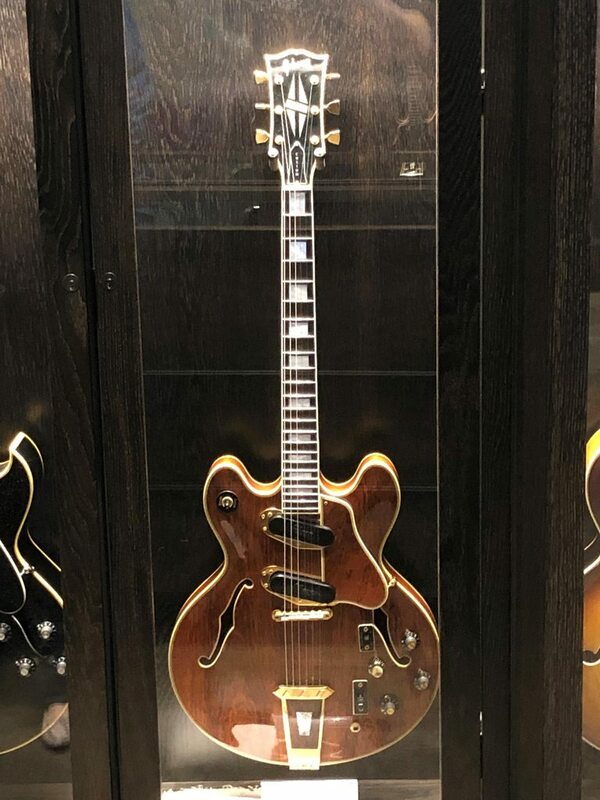 I noticed guitar that you had posted a while back was there. Tony Mottola's Low Impedance Crest was acquired by them and on display in their vault.